A rare gift from nature and a little help from Canada's winemaker; liquid gold ICEWINE. The grapes picked at the coldest moment of a winter's night, each frozen grape creates just one drop of Icewine. Just one smooth rich, luxurious drop. As the grape freezes new sensations of sweet juice are created. We invite you learn more about Canada's Icewines. Canada is the world's largest producer of icewines. Making more than all other counties combined. Icewine and Canada are synonymous. In their book Icewine Extreme Winemaking Donald Ziraldo and Karl Kaiser refer to making icewine in Canada as extreme winemaking. The story of this remarkable wine began in Germany (Eiswein) but today it is very apparent that Canada and Icewine are synonymous with each other. The regions of Canada most famous for its Icewine the Niagara Peninsula of Ontario and the Okanagan Valley of British Columbia. Here is where you find the conditions, that must be perfect, to produce the liquid gold know as Icewine. Their unique Climate allows for conditions that ripen the grapes in the summer and freezes them in the extreme winter cold. The unique climate helps maintain high acids in the fruit, necessary for successfully making icewine each year. Pictured here is the oldest existing bottle of Icewine ( ©2010 Robert Bell) made in North American In 1974 it was called Eiswein using the German name. The picture was provided by Tillman Hainle who father Walter is credit with producing the first commercial icewine. See Icewine History. China and Japan are the leading importers of Icewine. 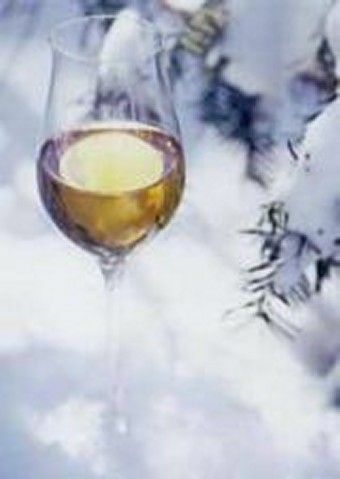 Canadian Icewine is also popular in Europe. The United States Produces some icewine but there is also a demand for Canada's golden liquid. On February 12, 2014, the Government of Canada published its Standard of Identity for Icewine within the Canada Agricultural Products Act (SOR/2014-10). 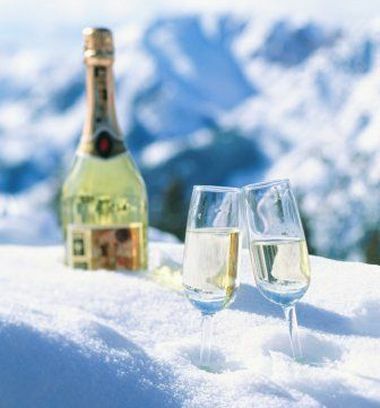 The regulation states, “Only wine that is made exclusively from grapes naturally frozen on the vine is “icewine”, “ice wine” or “ice-wine”. Icewine produced in Canada is required to meet the standard, as determined by a provincial authority that has verified that the product is wine that was made exclusively from grapes naturally frozen on the vine. Four of Canada’s wine producing provinces – Nova Scotia, Quebec, Ontario and British Columbia – have already established acceptable provincial regimes, which meet the new federal standard and follow international protocols.